International trade and partnerships, along with the increasing number of multinational business organizations, are creating a high demand for business professionals who are well-versed in the specific issues and processes of international business dealings. This is because the face of business is increasingly becoming a global one. So preparing for a future in the highly competitive (and sometimes volatile) global business environment begins with an extensive education. For many people looking to get started in a business career and for those who are already working professionals, an undergraduate and advanced education in international business can be the start to entering into or the key to thriving in this niche of the business world. Whether seeking a certificate, bachelor’s, master’s, or doctorate program, one of the main considerations for prospective students when finding a program in international business for their education is often quality educational experiences paired with flexibility in scheduling and location. Online programs offer just that. Students who complete studies online gain knowledge and skill in handling various financial, legal, and ethical topics necessary to help a company or organization succeed globally. Plus they provide students top-rated education with the convenience needed to finish the degree. National rankings, unique features, accreditation, and tuition rates are all important factors when selecting the school most suited to individual needs. The combination off these factors helped us to select the following 10 Best Online Schools For international Business to help you find your educational path. Students at Liberty University have the advantage of becoming part of a large network of alumni and gaining access to a number of resources and services. 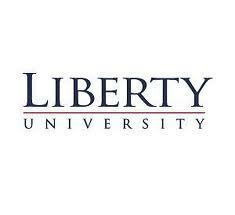 Liberty University is largest non-profit, private postsecondary higher learning institution in the United States, and it is also the largest Christian-based higher learning university in the entire world. It’s Bachelor of Science in Business Administration – International Business program will help you cultivate your skills within general business fields while learning the ins and outs of international trade, laws, and customs. Full-time students pay $340 per credit hour, significantly lower than many private schools. Accredited by the Southern Association of Colleges and Schools, Liberty is also ranked #109 for best online bachelor’s degree programs by the U.S. News & World Report. The school is also ranked #65 out of regional universities in the south. The bachelor of business administration degree with a concentration in international business requires students to gain the skills and knowledge necessary for success in the constantly changing global marketplace. The program allows students to gain the concepts behind strategic management, international marketing, and international finance to help graduates operate as global managers. The cost from start to completion of this 181 quarter hour degree program begins at $300 per credit hour, plus a $110 technology fee each quarter at Walden University. Unlike most other schools, more than 70 percent of the requirements to complete the degree are in business courses rather than general education requirements. This online degree program is accredited by the Accreditation Council for Business Schools and Programs, as well as by The Higher Learning Commission. For students seeking graduate degrees, Walden also grants master’s and doctorate degrees. Plus its reputation has led to its recognition, illustrated by events such as the keynote address given by former president Bill Clinton at the 46th annual commencement ceremony. 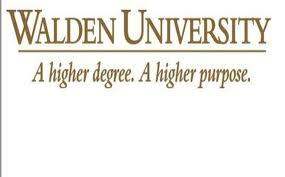 Plus, Walden was also ranked #109 by U.S. News & World Report for online graduate business programs. With numerous offerings through both on campus and online programs, CTU provides business, management, and technology degrees. Those interested in expanding their professional horizons within the discipline of international business may complete the Bachelor of Science in Business Administration – International Business program available online may learn how to compete and succeed in the global market. Courses include core concentrations in all relevant business areas – like legal operations, marketing, international finance, and management – while learning the specialized skills needed to understand present global economies, customs, and trade. CTU is regionally accredited by the Higher Learning Commission. To contact the Higher Learning Commission please visit www.hlcommission.org. The reputation and prestige of the university a graduate attended is sometimes an important factor in finding the ideal career position after finishing school. One of the unique opportunities a Boston University graduate has is the recognition of the university’s reputation for top education. U.S. News & World Report ranks prestigious Boston University as #66 for best online graduate business degree, #40 for best business schools, and #51 out of all national universities. Options for business students at Boston University include certificate, bachelor’s, and master’s programs in international business management and international business law. It’s Bachelor of Business Administration program offers students the ability to specialize training within it’s unique International Management concentration to learn and apply essential theories behind global markets and economies. Boston University is accredited by the New England Association of Schools and Colleges as well as other accrediting organizations. Tuition and fees totaled $42,994 in 2013. For prospective students who are looking for small class sizes to have a more personal experience during their education, Northcentral offers one-to-one teaching with one faculty member working with each individual student in every course. Northcentral University offers degrees in international business at the master’s degree level and the doctorate level. Per master’s course, tuition is $2,063 and doctoral candidates will pay $2,487 per course. The university is accredited by the Higher Learning Commission of the North Central Association of Colleges and Schools, and the business programs are also accredited by the Accreditation Council for Business Schools and Programs. Northcentral University is also ranked #313 out of mid-western regional universities by U.S. News & World Report. 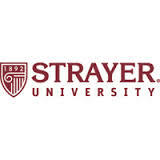 Strayer University was founded in 1892, and it has recently launched a Graduation Fund program to reduce tuition costs to enrolled students in an effort to encourage completion. As a part-time student, tuition at Strayer University totals $72,400 as of 2013, or $1,700 for full-time per course and $1,775 for part-time per course. One of the benefits of the bachelor of business administration program with a concentration in international business is the opportunity to complete the degree in under six years or less because of the quarter system for part-time students. Strayer is accredited by the Middle State Commission on Higher Education and its business programs are accredited by the Accreditation Council for Business Schools and Programs.. In the Washington Monthly ratings for master’s universities, Strayer was ranked 682 for social mobility, research opportunity, and service. Post University has consistently been recognized for its online programs. The university was ranked #19 for best online bachelor’s programs and #87 for best online graduate business programs by U.S. News & World Report. Post also has a high rate of completion; in fact, 99 percent of students graduate on time. The total tuition cost is estimated at $66,0000, and students typically finish the program in 7 years. Post University is licensed and accredited through the Department of Higher Education of the state of Connecticut, and is also accredited by the Commission on Institutions o Higher Education of the New England Association of Schools and Colleges. Because of the focus on working adults, Post has the Partners in Education program, in which employers from all different areas are able to work with the institution to offer employees assistance with reduced tuition while pursuing a degree. 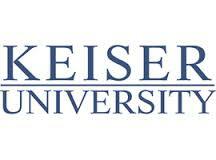 Founded in 1977, Keiser University has developed a unique approach to online education. Students study and complete assignments one course at a time. After the final exam for one course is completed, students move on to the next course, allowing for complete focus on one subject and one discipline area at a time. Students can also complete a bachelor’s degree in international business entirely in Spanish. Keiser University was ranked #71 out of all southern regional colleges by U.S. News & World Report. The online campus is overseen by the Fort Lauderdale campus of Keiser University, and the school is accredited by the Commission on Colleges of the Southern Association of Colleges and Schools. Tuition per year at Keiser is $15,064. 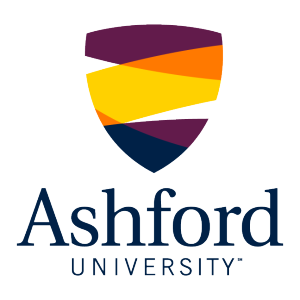 Ashford University offers a bachelor’s of arts degree in international business, and students have the option to add on the logistics management specialization to add to their expertise in the global marketplace. WASC Senior College and University Commission (WSCUC). The bachelor’s of arts in international business is also accredited by the International Accreditation Council for Business Education (IACBE). Ashford has also been named to the President’s Higher Education community Service Honor Roll through the Corporation for National and Community Service. It is also a part of the Adult Learning Focused Institution of Higher Education, which supports unique opportunities in learning for working adults. Tuition rates are $475.00 per credit hour, and a total of 120 credits are required for an undergraduate degree. This entry was posted in University Rankings on July 31, 2013 by rebecca.